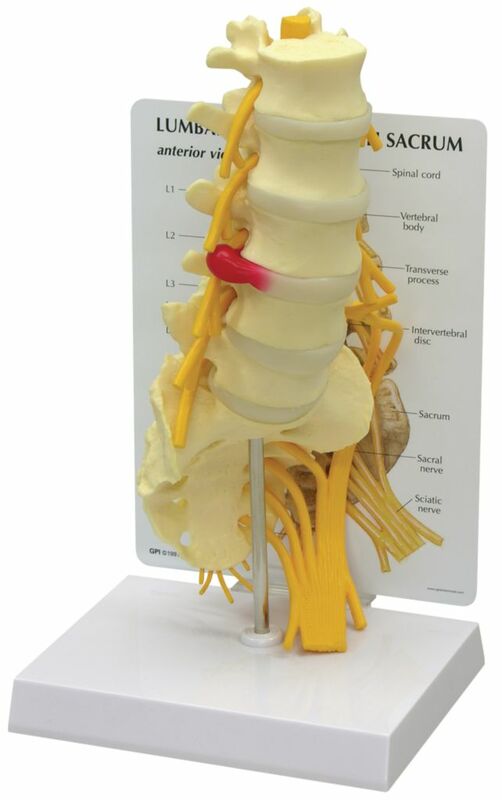 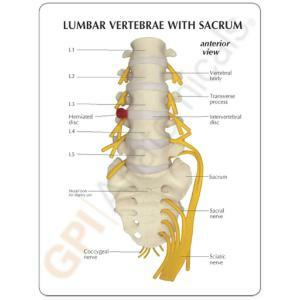 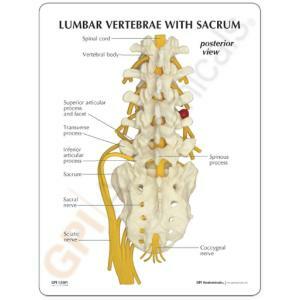 The first through the fifth lumbar vertebrae and the sacrum are featured, including the full lumbar nerve section with sacral nerves on the left side and sciatic branch. 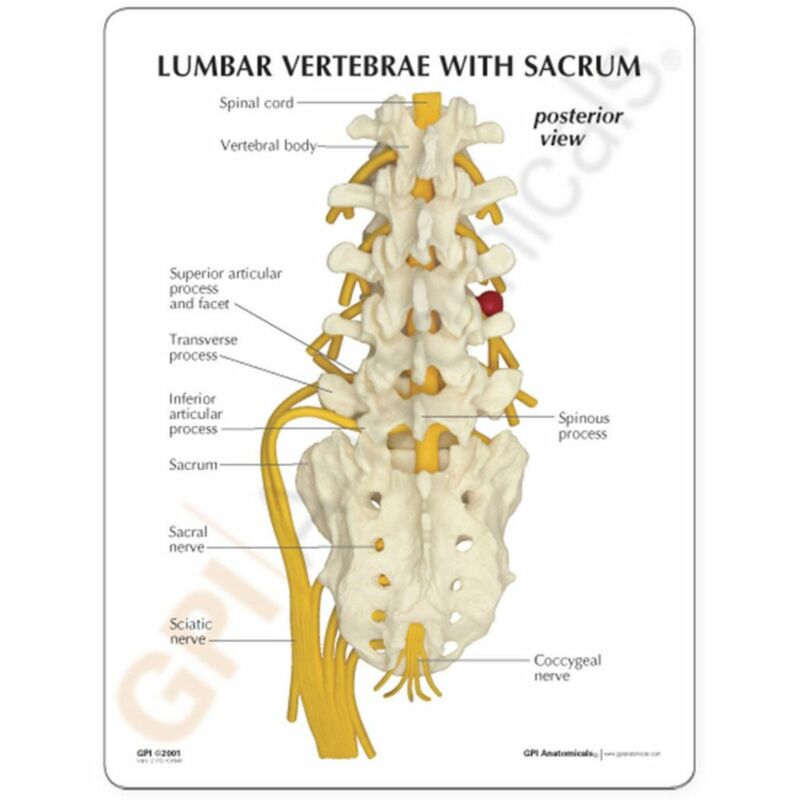 A hernia between the third and fourth lumbar vertebrae is also depicted. It is life-size and mounted on a stand with base, but can be removed for up-close study.